After all the breathing difficulties at birth, we hadn’t had time to acknowledge just how serious this blood sugar business was. We knew while she was on ECMO that she had been put on dextrose but it was overshadowed by the breathing. Lungs first, blood sugars later. Once she was weaned off the oxygen we could begin to worry. 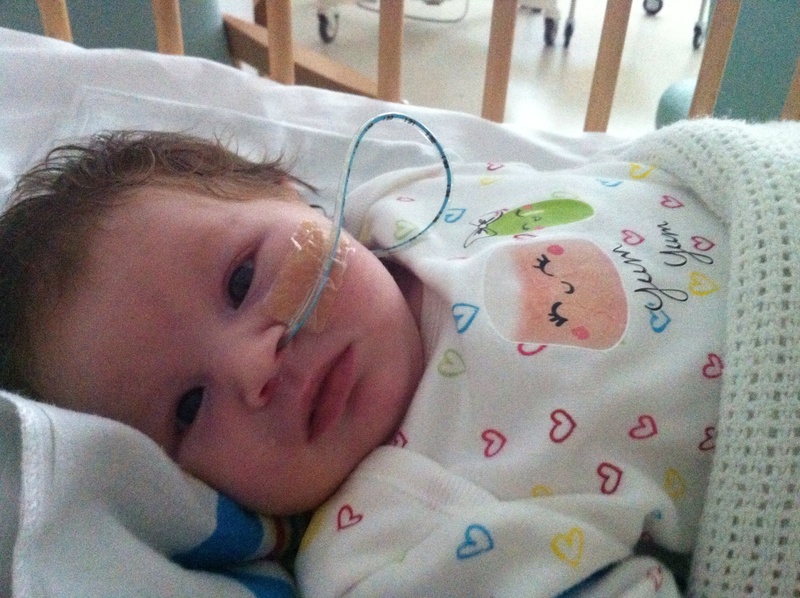 They had attempted to wean her off the dextrose but failed to every time as it saw her blood sugars plummet. And so the concentration went up, until she was dependent on 20% in order to average blood sugars of around 3-4. The immediate thought is diabetes but this was more or less instantly dismissed. More testing was needed. They took that many blood samples from the umbilical line I genuinely, albeit irrationally, feared that she’d have no blood left, she was so tiny and they took bottles and bottles of the stuff. One doctor mentioned something about checking for ketones but it was during rounds that a lovely doctor explained that she suspected it was hyperinsulinism. I asked if it was treatable and we got told that they would not start on medication until it was confirmed. Unfortunately for us the bloods had to be sent away to be tested, being so rare, and it wasn’t open over the weekend so when we eventually got our diagnosis she was already nearly two weeks old. However, medication began (that had to be special ordered as it is not something generally kept in stock), and she came slowly off the dextrose. I got given an information pack and read the entire thing, every last word, turned back to the beginning and read it all again. I couldn’t quite believe the severity of it. She had just about fought for her place in this world then we were thrown this to deal with. The two problems weren’t even related. One of the first things I remembered reading was that some cases result in a near full pancreatectomy. I suddenly felt as though we had been close to taking our baby home and now the idea of that was being snatched away from us. As far as I understand there can be different reasons a child has hyperinsulinism. For instance, it can be genetic (there are different genetic types), or it can be down to a legion on the pancreas affecting insulin secretion, therefore focalised. This type generally needs surgery. Penelope’s, however, was thought to be diffuse (affecting the entire pancreas) but transient; something she’d eventually grow out of. We got given a glucometer and trained how to use it. We had to learn about the medicines. Diazoxide to control insulin production. Chlorothiazide as a diuretic because the diazoxide causes water retention. Sodium to replace lost salts because of more frequent urination. This was the tip of the iceberg. While other new mums were at home with their babies, probably enjoying first smiles and visitors with cards and balloons, we were learning all about the pancreas and fickle nature of blood sugars. She suffered a relatively bad hypo in NICU after a vomit, sugars were 1.8, and after ECMO this was one of the scariest things I have witnessed. Clammy, pale, shaky and distant- best describes it, in my opinion; scary. The emergency administration of glucogel (to bring up blood sugars) feels like it takes forever, but in reality minutes, and the wait to test blood sugars again is torment. They shot up to 13 ten minutes later though, at which point I could breathe, sort of. I began to resent all those new mums I saw carrying their babies out of hospital when I was walking into NICU. It just didn’t seem fair. Our NICU had a system. Room 1 for life threatening cases, needing intensive care (where we started out); then it was tiered down to 5, which was more of a nursery, where babies needed a helping hand with feeding usually, and a lot less care. Penelope had worked her way down to room 5 but after this bad hypo got bumped back up to 3. I began to think we were never going to leave the place. By this point the diazoxide had also began to have a serious effect on her hair. She had lots and lots of curls to begin with but the medication accelerated it’s growth, her little forehead became fuzzy too. No one could walk past and not comment on it, so much hair for such a little baby. Eventually, when we did take her home (on NGT to ensure she had her medicines and enough milk to keep blood sugars at a safe level) I still didn’t feel much better. She was on 3 hourly feeds to keep blood sugars up, medications staggered throughout the day at least every 2-4 hours there was one she needed (she also had reflux and received meds for this as well as Aspirin post-ECMO) and that was on top of regular baby stuff such as nappies, bath time and cuddles and visits every other day from community nurses. We checked her blood sugars before every feed and if we were ever in doubt, which was admittedly fairly often. We had no social visitors really. We barely could make it out the door for a quick walk around the park with the dogs. As a family, we were physically and mentally drained. Then after being home about a month she had a bad run of hypos. Really bad. We had a chart to follow. What to do in case her sugars dropped. And in red, bold writing was ‘call 999 immediately and give glucogel’ in the very last box. She hit this 3 times with blood sugars as low as 1.2. To make matters worse, this time she was asymptomatic. She showed no signs of being low. It was a vomit that prompted us to check. She was smiling away in the ambulance. Covered in glucogel. She was admitted a few times, for a few days each time and it wore me down a little bit each time too. 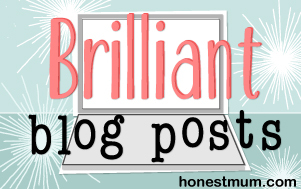 I felt like my life with a newborn hadn’t really begun. It was more about keeping her alive than enjoying her being a tiny baby. But, over time it got easier and the hospital visits got less. We had our last trip to hospital, in a car this time, with consistently borderline lows of 3 which meant another medication increase. And eventually we were able to go and meet the specialist. I think this was the first night I slept properly since she was born. The NGT was out and I could finally talk to someone who knew the problem inside out and could tell us what was going on. Previous to this I found myself explaining it a lot. Even to medical professionals, as many had never even heard of it before. This was when we turned a corner. Her feeds became 4 hourly. Then we dropped an overnight feed. It is surprising how much of a positive impact it has when a “full” nights sleep is had. We brought her in for a fast so we could check how her blood sugars behaved with no food and they remained steady. The medication was working well. She came off her reflux meds and didn’t vomit anymore. But, and most excitingly so, was the presence of ketones during the fast. This meant, as far as I’m aware, that in the absence of food, her body was able to produce alternative fuel thus not attacking it’s own sugar supply. 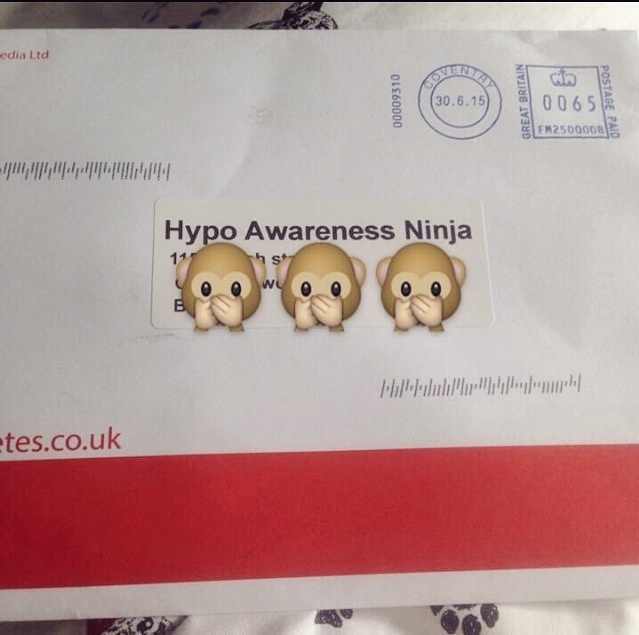 We got sent home with a ketone monitor, but generally with a bit more positivity too. I finally began to enjoy the little baby things every new mum is supposed to, despite her being 5 months old at this stage. And, I’ve enjoyed every single second, maybe even a tiny bit more because of all this. Consider myself a bit of a blood sugar ‘expert’ now. considered low risk, so I went in and they confirmed that it was in fact amniotic fluid. I was sent home and told to keep checking my temperature and rest up until contractions started. I had a few contractions on and off over night. In the morning I went back and as labour had not progressed I was sent to the hospital. Poor CTGs and a LOT of meconium present when my waters were broke meant they wanted me in theatre for an emergency section, and fast. Penelope was here half an hour later. The room was full of people but I couldn’t help but think that it seemed dreadfully silent. We hadn’t heard her cry. I, however, had begun to cry and it was as I looked at my husband that we heard the faintest of whimpers. I caught a glimpse of her as she was wheeled out. She needed help breathing. Whilst I was in recovery my husband had been to see her in NICU and brought me a picture. She was perfect. But, it wasn’t looking good, she was on 100% oxygen and couldn’t breathe on her own. She had severe meconium aspiration and persistent pulmonary hypertension as a result. I managed to get myself into a wheelchair and go and see her. By this point she was on an oscillator, which was just petrifying to behold. My brand new, delicate baby was shaking away. We sat there for hours watching her sats, they were going down instead of up. Nitric oxide didn’t work either. We sat with her for ten hours and then the doctor wanted to speak to us. They had exhausted all the options at our local NICU, there was nothing more they could do now. He mentioned something called ECMO but there are only a few places in the country that do it. The closest place to us was Glenfield, Leicester, three and a half hours away. Luckily for us, there was a bed and Penelope met all the criteria to qualify for it. ECMO is basically a lung bypass. Blood is taken out of the heart by a tube in the neck and the oxygen is added to it outside of the body and then the blood is returned, doing the lungs job, allowing the meconium to be cleared out. The team from Leicester came the following day, put her on ECMO and took her to Leicester in an ambulance where she stayed on ECMO for 36 hours. My husband followed her there and I was discharged the following day and met them both there, and although phenomenal to behold, it was easily the most terrifying thing I have ever witnessed in my life. 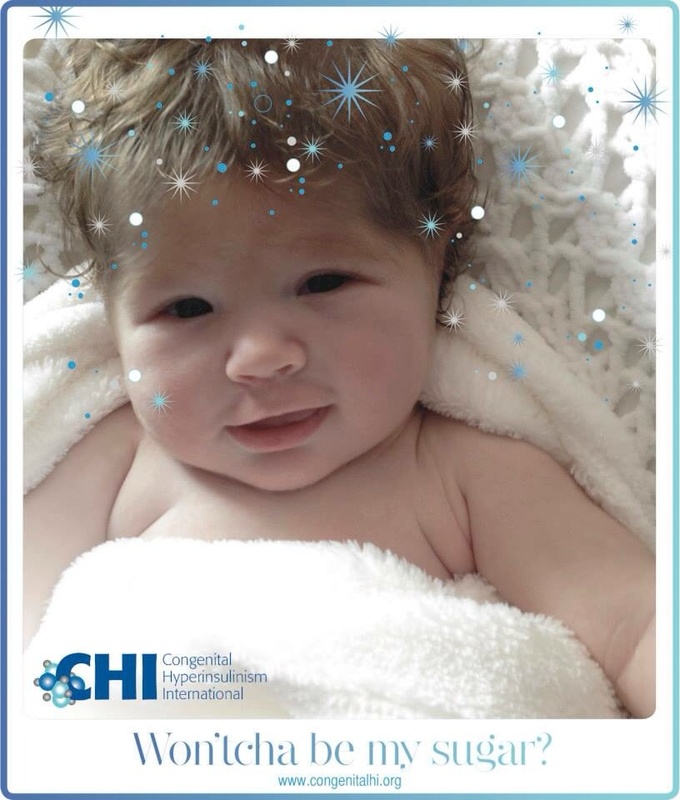 She was then brought back to our local NICU in a helicopter! And, yes, they had teeny tiny ear defenders for a newborn! She was already proving to be a fighter. 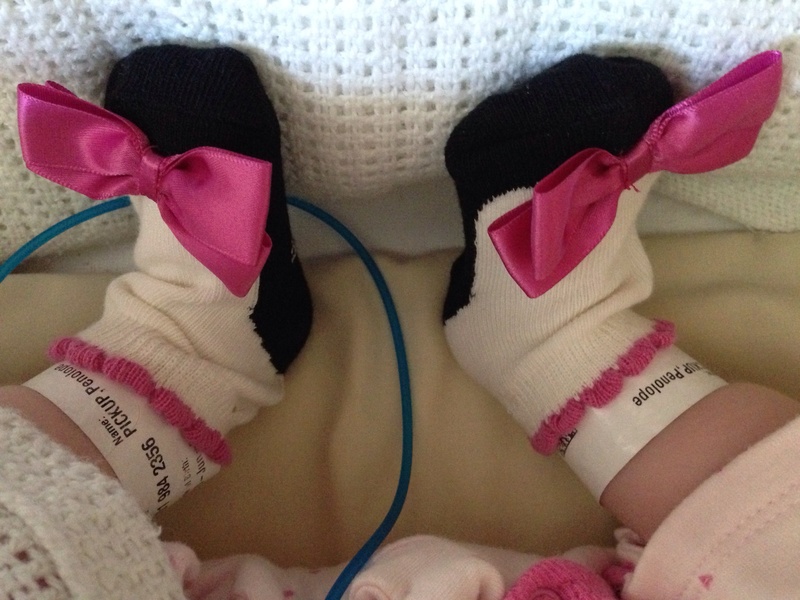 She was off the ventilator 24 hours later, but our NICU journey was nowhere near it’s end. On ECMO. The tubes into the heart via an incision in the neck are the width of a pen. She was now breathing on her own but was unable to maintain a safe blood sugar level without a high concentration of dextrose. It took a couple of weeks to get the results back from the myriad of tests performed. It transpired to be something quite rare we were dealing with. 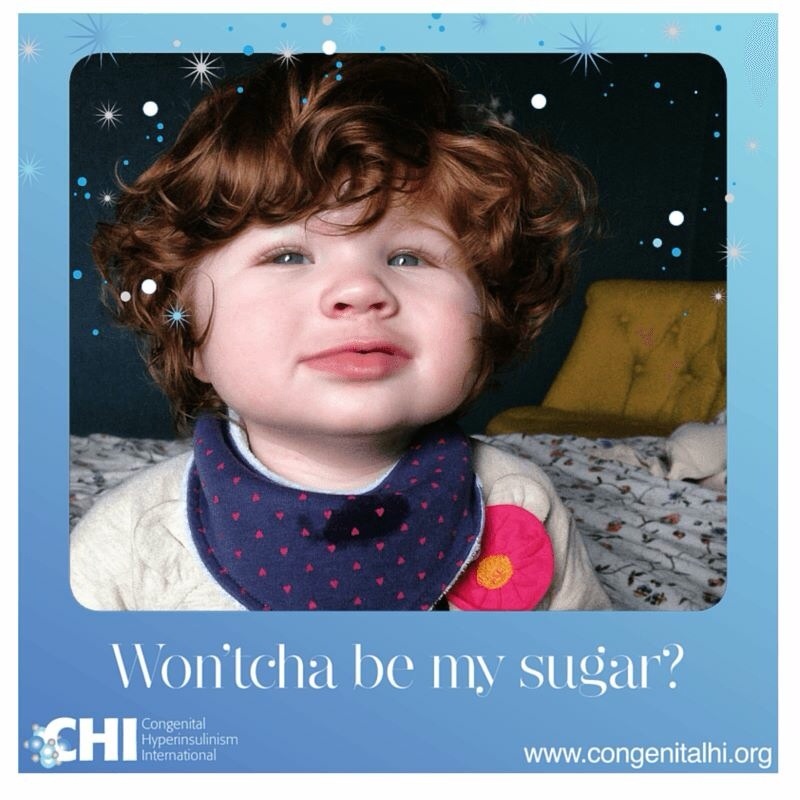 She has congenital hyperinsulinism which means that she produces too much insulin, like the opposite of diabetes, causing dangerously low blood sugar. This was completely unrelated to her breathing difficulties she initially faced. 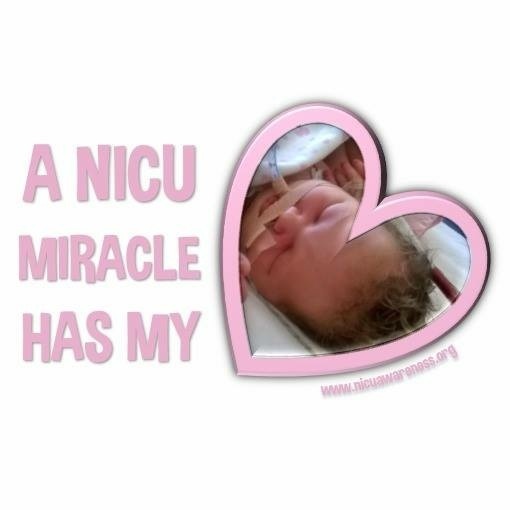 Even though she was admitted to NICU with what was a relatively common newborn problem for full term babies, that being meconium aspiration (albeit she had it to the extreme, the most severe case our local NICU had seen) it was dealing with awaiting a diagnosis for something more complicated afterwards that was particularly difficult. I can certainly sympathise with any parent whose child is in NICU with a rare, genetic condition not picked up on during pregnancy and waiting for the results of test after test. And, perhaps the most wearying thing of all was not knowing when we would be able to bring our baby home. Once she was on her medication and beginning to stabilise there was light at the end of the tunnel. However, from there we had difficulty “teaching” her how to feed as she had previously been NGT fed whilst we awaited a diagnosis. This was what felt like the most tedious part of our stay in NICU. She had reflux and consequently ended up on even more medications and with a speech and language therapist and dietician visiting her now. It seemed that she could not keep a bottle down, even the tiny bit she could manage. And, worse, when she was sick she would go hypo and her blood sugars would drop. This prolonged our stay in NICU a few times. But, after six weeks and two days and a very long discharge planning meeting and two nights ‘rooming in’ with Penelope, we were able to take her home. With the NGT still in. My husband was shown how to pass one. She was off it in no time when we brought her home and could practice feeds round the clock! NGT was in for around two months. During this six weeks I found a little comfort from the Bliss magazines available at our NICU, and much of what was not covered in our discharge planning meeting I found in the Bliss handbook, which was especially helpful. I think that even though it is a great shock delivering a baby prematurely, it is just as much of an unpleasant surprise having a poorly full term baby that needs neonatal intensive care. What I would like to let any parents in a similar situation know should they be reading this, is that it really does get easier. And once you can accept that taking your baby home will happen when they are ready, it can even become enjoyable! The nurses are utterly fabulous, what a job to do! And are of great comfort. We documented and enjoyed some of Penelope’s “firsts” while we were there as if we were at home, but had the advantage of a helping hand. For example, the first bath! It is a place full of ups and downs, but take solace where you can, even if it is reading this for five minutes while your new baby takes a nap. And, most of all CONGRATULATIONS on your new arrival, from a parent of a ‘NICU grad’. 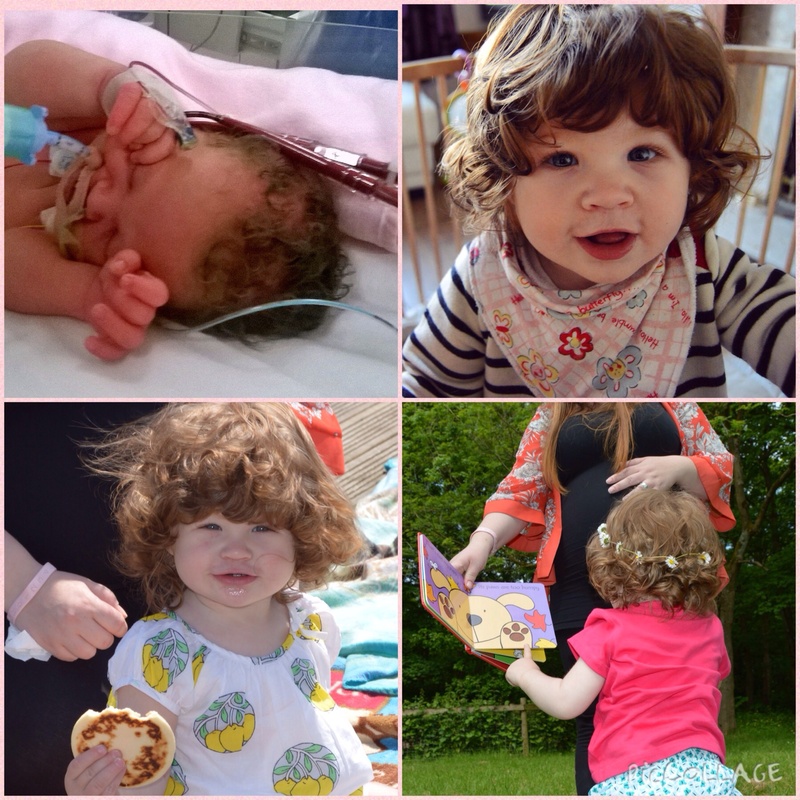 Top left: Penelope on ECMO when she was born. Top right: Penelope doing marvellously at 10 months old. Bottom: Penelope is now one, and a lovely little girl, kick counter wristband can be seen. ‘I wish I’d have known about Count the Kicks’ during my last pregnancy. My daughter was born last June, by emergency C-section. After recently having a debrief about the birth, it has become much more clear to us just how lucky we are to have her here today. I had a lovey pregnancy, hardly any sickness in the first months, baby was measuring splendidly, etc. Everything was “textbook”. Until my due date. It came and went. But, even when it had passed, I never felt particularly uncomfortable, despite it being (oddly) warm (for Britain)! On the tenth day past my due date I lost a little fluid. I had planned on having my baby at a midwife led unit, as I was considered low risk, so I went in and they confirmed that it was in fact amniotic fluid. I was sent home and told to keep checking my temperature and rest up until contractions started. I had a few contractions on and off over night. But, here is where I really wish I had known about CTK. As I was busy concentrating on contractions and timing them etc, I cannot remember being advised to keep an eye on baby’s movements. In the morning I went back and as labour had not progressed I was sent to the hospital. There I was monitored and it was picked up on straight away that baby was not happy. They needed to get labour started and fast. I had a cannula put in and my waters properly broke; but once it was evident that there was A LOT of meconium present I had a team ready to take me down to theatre in no time. It becomes a bit hazy here, but I knew they had to get her out, and quickly. She was delivered at 13:43 on 6th June, they flashed a bright green baby above the curtain, and although the room was full of people it seemed disturbingly quiet. I hadn’t heard her cry. My husband was in as much shock as I was and as I looked at him we finally heard the faintest of whimpers. She was then wheeled past me- she needed help breathing. My husband followed her down to NICU. 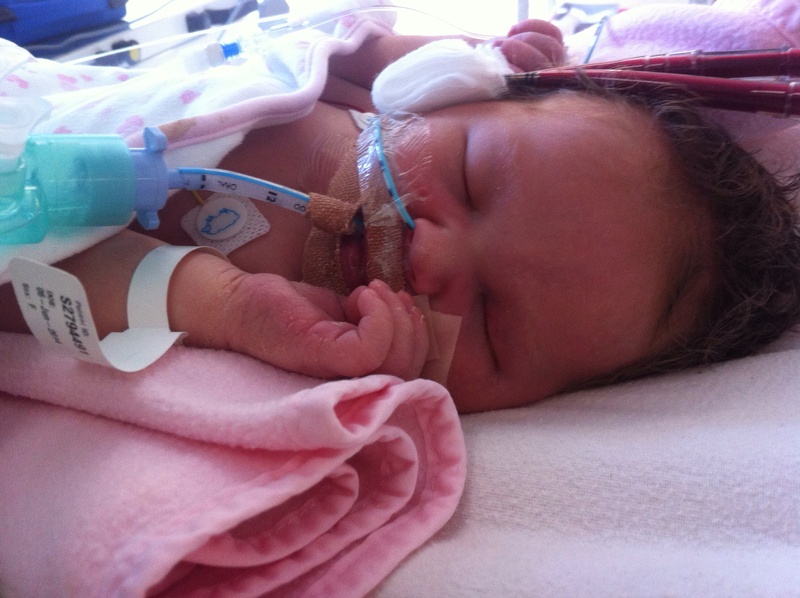 She had severe meconium aspiration which had led to persistent pulmonary hypertension. Our local NICU quickly exhausted all the options (oscillator, nitric oxide) and it wasn’t looking good. She was on 100% oxygen and could not breathe on her own. We were told there was maybe one option left. A life-saving, last-resort treatment called ECMO. But, only a handful of places in the country do it, the closest to us being Leicester, three and a half hours away. Luckily, her good birth weight (8lb 13) and other factors meant the team at Leicester were thankfully able to come and perform the procedure that involved taking the deoxygenated blood from the heart via a tube in the neck, where the oxygen was added externally to the body and then returned through another tube (doing the lungs job). 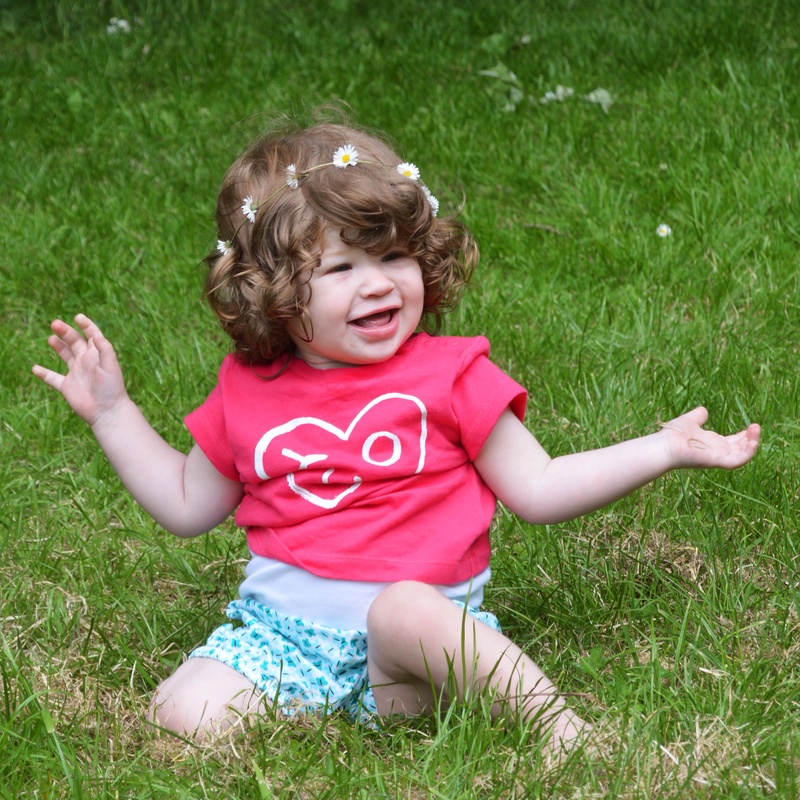 Once she was on ECMO she was taken by ambulance to Leicester where she stayed on ECMO for 36hours, thus giving her lungs a break and allowing the meconium to be cleaned out, it was four days before I got to hold her. She was then helicoptered back to our local NICU. Had I waited any longer to go in it would likely have been a different story, so said the obstetrician going over my notes. Meconium is often present when a baby is distressed, and although I can never know what it was that distressed my baby so much, had I been aware of the importance of counting kicks, even during contractions I might have been able to act faster. As a noticeable decrease in kicks might have indicated her distress. Only around 50 babies a year need ECMO. It saved Penelope’s life, and for that I owe it mine! I am due baby number two in August, and I am so much more familiarised with his pattern of movements, using my kick counter. And, although I will be having an elective section, I will continue to regularly be aware of his movements right up until the moment he arrives.